All songs from Is He Worthy? NEW from Chris Tomlin - "Is He Worthy?" 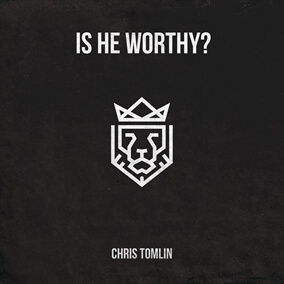 Esteemed songwriter and worship leader Chris Tomlin is releasing a brand new EP, "Is He Worthy?". Featuring three versions of the song, an album, and EP, and an acoustic version, you are sure to find a version that fits your upcoming services. We are excited to offer the worship-leading resources for the EP version of Chris Tomlin's "Is He Worthy?". Original Master MultiTracks, Charts, and other worship-leading resources for "Is He Worthy?" are now available.